After a blazing hot start to the season, the Celtics have come back down to earth a bit in the month of December. Having lost just two games in both October (first 2 games of season) and November, they’ve hit that mark in December less than two weeks in. Not long ago, it seemed like this team might not lose another game. 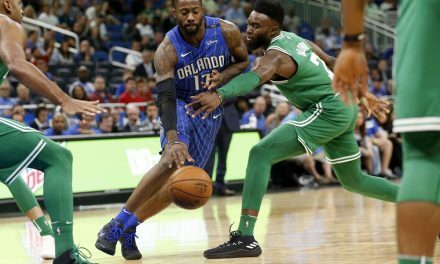 Now, the reality of the long haul that is an NBA season is starting to set in, as the Celtics try to navigate injuries, tough stretches of the schedule, and players hitting potential walls. The latter is highly characteristic of youthful players, in which the C’s have many. That reality smacked everyone in the face after a blowout loss to the then 5-20 Bulls. Even rookie sensation Jayson Tatum had a truly poor all-around game for seemingly the first time in his career. 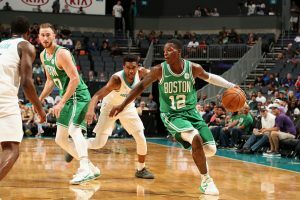 In the next game against the Nuggets, the C’s gave up a season high 118 points. 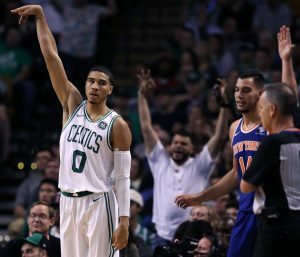 Tatum did bounce back with the swagger of a vet, however, contributing in his uniquely important role for a rookie. Back to his usual self, he made selective but big plays all game long, and they found a way to win. 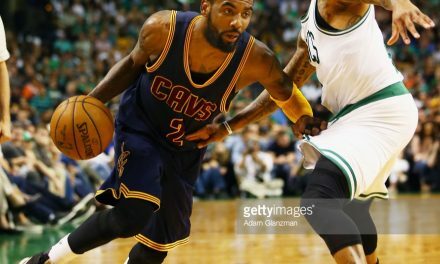 Kyrie also once again showed what he can do in the clutch. Still, you have to wonder how far a team can go relying on late-game heroics with such consistency. This team has fought through all kinds of adversity already at this point in the season and come out on top. One of the biggest things they haven’t been through is tough stretches with multiple losses. The team started the season in a sprint, but are going to get a tough lesson that a NBA season is a marathon by the end of the season. Losing is something these guys haven’t done much together as a collective. It will happen more than it has, and it will be the biggest test they face yet. Obviously Gordon Hayward has missed all but 5 minutes of the season. Fortunately, his surgery went well, and recovery sounds ahead of schedule. He got to shed his walking boot this week. There are still no expectations for him playing this season, but it would be great to see him get some game action so he can hit the offseason full steam. It doesn’t need to be much, but it would be good for the future if he is 100%. Paul George’s recovery from an equally gruesome injury is the ideal model. He was brought back in a limited role, playing about 15 minutes a game and sitting out back-to-backs. He appeared in just 6 games at the end of the season, but came back and had his best year statistically to that point the next season. George attributed much of his success to already having his confidence from getting game action the previous year. If Gordon does miss the remainder of the regular season, I wouldn’t expect him to be thrust into playoff action, even if he is 100%. Us C’s fans were spoiled by the hot start, but it turns out these guys aren’t quite superhuman. They have been plagued with injuries all season, and it might finally be catching up to them. Kyrie has missed time here and there. Horford sat out against the Nuggets after banging knees in the Bulls game. The worst news comes from a recurring issue, with Marcus Morris expected to miss extended time due to the knee that has kept him out of several contests. Before this season, there were more back-to-backs, but also more 2 and 3 day breaks. Now, teams are playing almost every other night in an attempt to lessen back-to-backs. Kyrie has talked about the difference in the grind this year, and didn’t have many good things to say about it. Less than a month into the season, he was talking about everyone already being banged up. When the team finally got a 2 day break going into the 76ers game, everyone from players to staff raved as if it was a gift from God. Having played almost every other day since the season started, the Celtics could use a break. Unfortunately, things will get worse before they get better. They have two back-to-backs before Christmas and another right after before finally getting another rare two-day break. Take that gift out and that’s over two straight months of playing every other night, littered with multiple back-to-backs. If the Bulls game was any indication, it is finally starting to catch up to them. 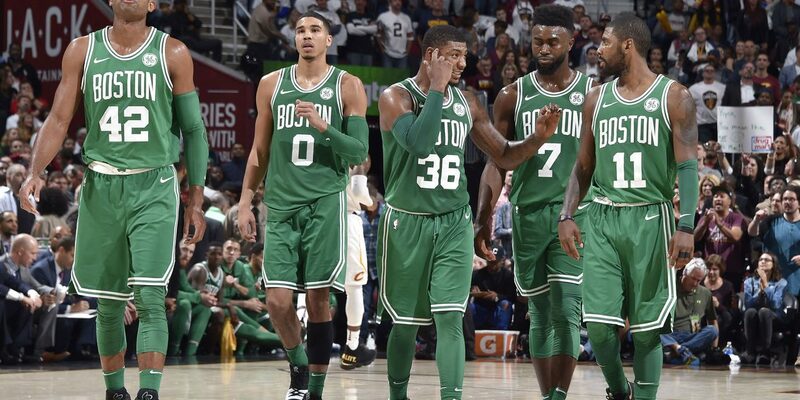 For literally the first time all season, the Celtics never seemed to be fully in the fight. After all the comeback victories this team has put together in the young season, it never felt like they were going to go on a run against one of the leagues’ worst teams. They came out flat, and that’s how they finished. 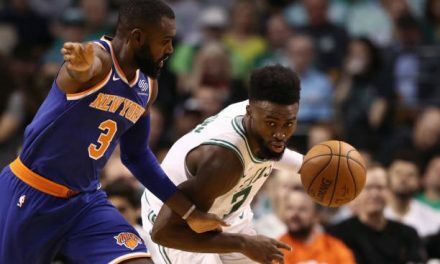 The C’s could be in for a couple more of those flat games, as the schedule ramps up in a time where they desperately need some extended off time. The schedule does lighten up a bit in the new year, especially after the all-star break. Even if it results in some mid-season woes, this team is trying to make a deep playoff run. The regular season schedule will play in their favor in the long-term. They will get the tough stretches out-of-the-way early. They won’t have as many games later in the season, but they will be playing higher quality opponents. The annual road trip out west should be a good opportunity to get ready for the playoffs. More practice time ahead of the postseason will be key as well. 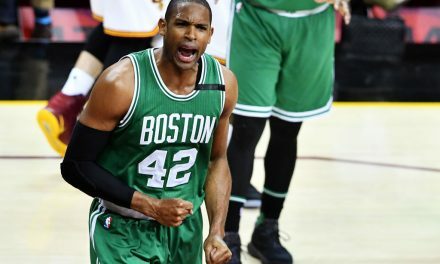 Horford-Baynes Front Court Resembles 2008 Celtics?